I remember a statement I made in passing a while ago, I said " God doesn't change His mind, man does". I didn't put a lot of thought to it then, but a lot has happened over the year, that makes me think of this statement, and understand it more. I am sure many times, we have asked God for certain things. As is the cycle of things, the answer is prevalent between three things: Yes, No, or wait. When God tells us "yes" He is giving us the go ahead to move, when He says no, He doesn't accept, and when He says "wait", either we are not prepared, or He is preparing something better for an appointed time. Human as we are, when we do not get the "yes" answer, we get upset, irrespective of how we say "I'll thank God irrespective of the answer". We begin to question, especially when His response is "no". We want to know why, we feel we could have done things differently to warrant a yes. We convince ourselves to convince God (ironic isn't it). Especially when we want something so bad, our human nature finds it difficult to accept God's answer. A "no" from God pricks on our pride, and until we know how to fully surrender to His will, we keep disagreeing with him. 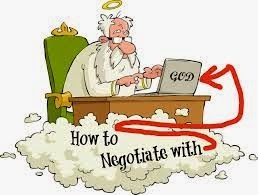 In the event of getting a "no" from God in past times, I tried to find a way to convince Him otherwise. I tried to reason with God, and make Him see things from my perspective. I felt like I needed to make Him understand. I had somehow told myself, God isn't seeing things the way they really are, which is probably why I tried making Him see differently (I guess human nature can be extremely silly sometimes). But truth is, God is God, if He said yes, He knows its good enough for you. If He says no, He sees into the future and beyond and knows it isn't right for you, and if He says wait, it doesn't mean He is punishing you, it means you simply need some more time. 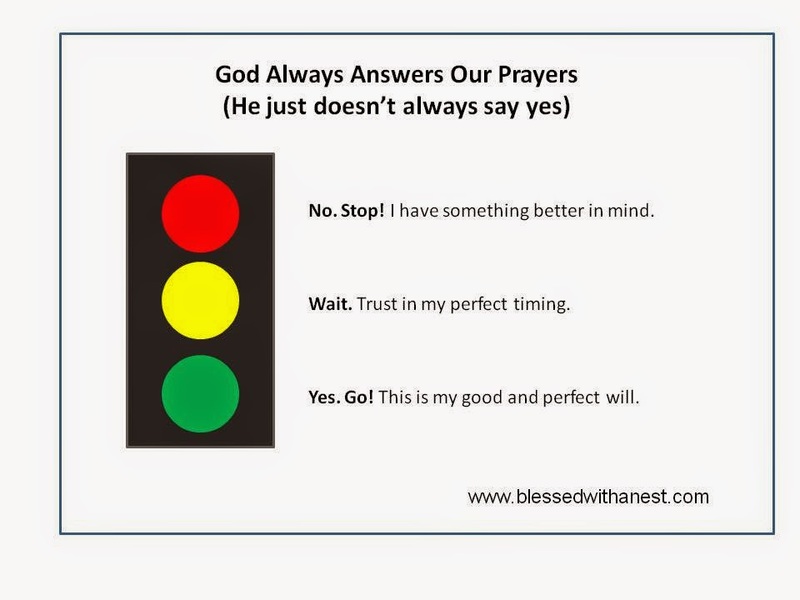 God doesn't change his mind, so every effort of mine to convince Him otherwise, or pray the same prayer two months after would not warrant a different answer, if the first answer was no. I have come to learn, no matter how much we try to change His mind, God doesn't change. If He eventually allows you have "your" will, it is your will and not His. In summing up my year, I'll say I have come to learn to appreciate and accept God's answer to me at each point. Human nature doesn't always agree, but it gets to a point, we need to understand personally that we are spirit, and our spirit have no obligation to obey the flesh or the desires of the flesh. 2014 is rounding up pretty fast, and a new year approaches. If I have any lessons to pass on, I'll say learn to surrender fully to God's answers. Don't try to convince or negotiate with God, He is God and He knows best. If you truly are a growing Christian, you will understand that the act of surrender to Him, isn't about being controlled by God (different people have different philosophies of God), but it is about trusting the Omnipotent one to lead you aright. I thank God immensely for 2014, and wish you all a prosperous new year ahead.